The Tramcar Restaurant has ceased operations and been taken off the tracks until further notice. For those with existing reservations or gift voucher holders, we ask you to contact them via email [email protected] or telephone +61 3 9695 4000. Melbourne’s restaurants offer a diverse range of cuisines, venues and menus to select from. 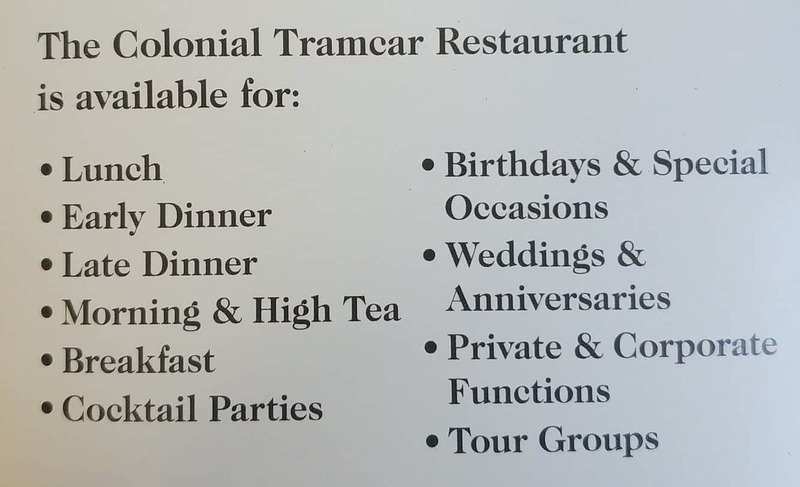 However, you will never have another experience quite like the Colonial Tramcar Restaurant. Come here for the ultimate dining experience. The Tramcar Restaurant offers a vast selection of entrées, mains, drinks and desserts to choose from. The interior of the trams are beautifully decorated and furnished. 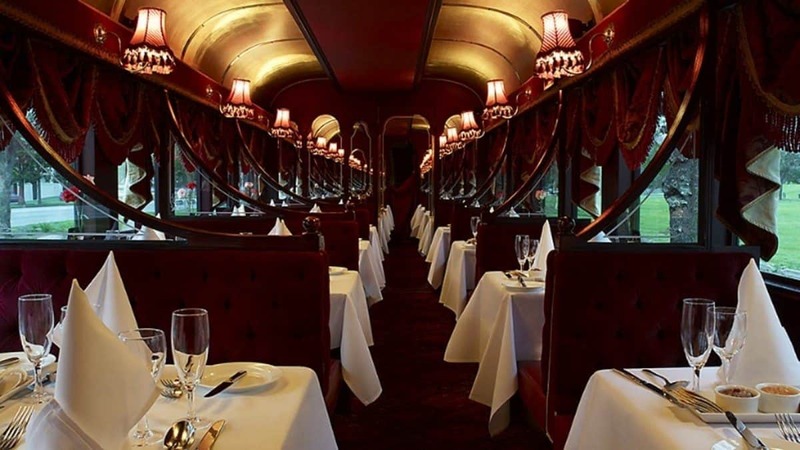 In fact, the carriage is air-conditioned, as well as heated; offering diners the perfect setting all-year-round. The menu features Australian cuisine with a selective range of dishes – even for those who are vegan or require gluten-free dishes. Today the Tramcar restaurant features a wonderfully decorated space, with each restaurant accommodating 12 to 24 guests comfortably. Each section features a dining table for two or four guests. The tram doesn’t offer accessibility options, however, disabled guests are welcome to dine here, while the staff providing secure storage for wheelchairs. Come and explore the restaurant and its seasonally inspired menu – offering both lunch and dinner options. Enjoy dining on these moving trams that will take you through some of the most prestigious suburbs of Melbourne. This steady tram ride is perfect for you to enjoy a tasty meal on-board. 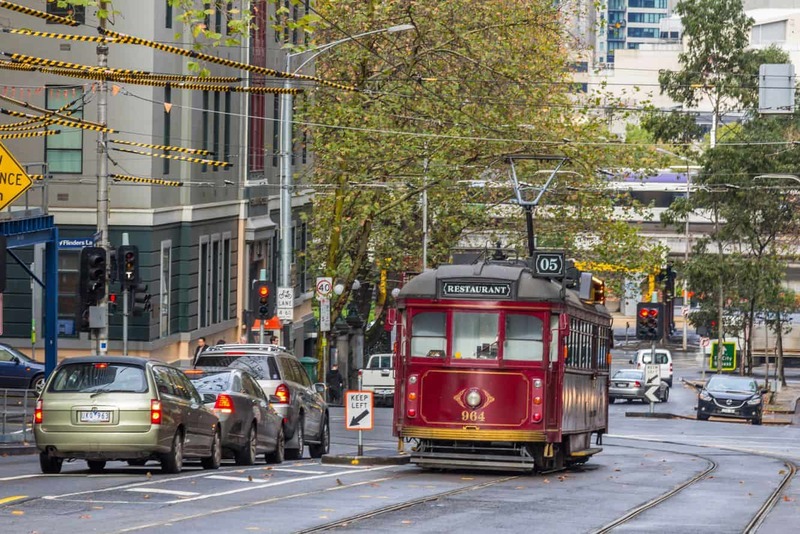 To reach the Colonial Tramcar Restaurant, drive to Normanby Road in South Melbourne – just next the Melbourne Exhibition Centre. 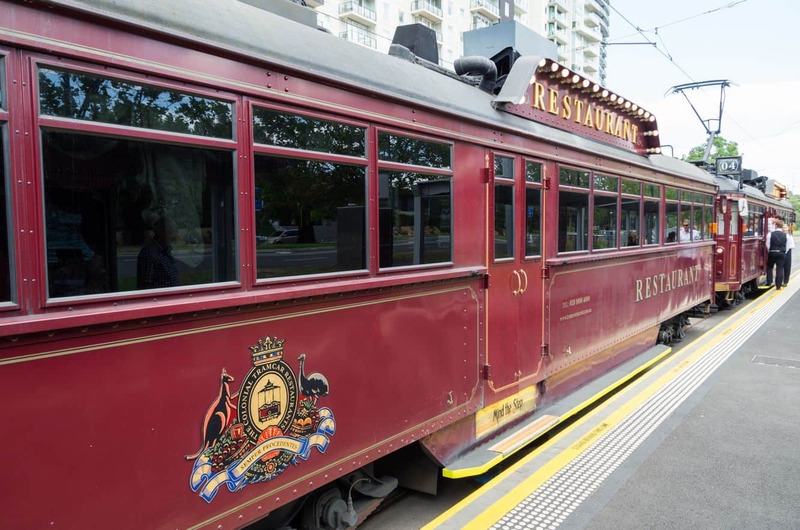 Click on the link below to book your tramcar lunch or dinner experience online. Hurry, spots are limited! Hi is the Pre-theater dinner recommended for a night at Princess theater Musical (Matilda) starting at 7:30? The schedule seems a bit tight but are the locations close? It is theoretically possible, but I think the timing might be a little too tight. The Tramcar early dinner leaves at 5.45pm and goes for 1.5 hours. This will take you to 7.15pm. After the dinner, you will alight from the tram at Clarendon Street, South Melbourne. 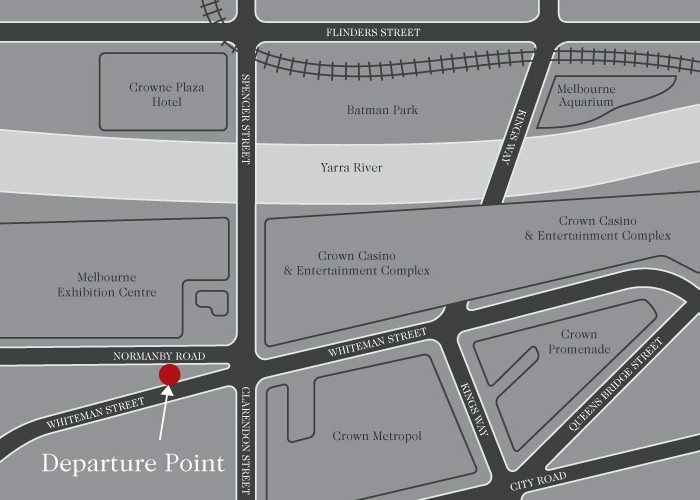 Theoretically, you could catch a taxi to the Princess Theatre in time for the 7.30pm start as it is only a couple of kms away, but you would not have any time to spare if the tram is delayed, can’t hail a taxi straight away, traffic delays etc. For me it is a little tight, but it is a matter for you. Here is the link to the tram car restaurant if you want to go ahead with the booking. I have done the tramcar booking twice before and it is a great way to enjoy Melbourne! Hi, I would like to enquire if I have a child turning 3 years old, can he join the dinner? Also what is the charge for him? I note that the Tram Car is a quiet intimate setting with small booths that wont fit a highchair. Also, there isn’t any room for kids to run around on the tram as it is a small space.